Discussion in 'Black People Open Forum' started by HODEE, Feb 6, 2019. Mark R. Herring (Democrat). The Attorney General of Virginia. Admits he wore Black Face ( at 19 ) during college. He is trying to minimize the impact Virginia Gov. Ralph Northam ( Democrat ) is suffering. This shows the whole Administration of Virginia is messed up. During slavery Virginia was heart of most of the conflict. Jefferson Davis (1808-1889) was a Mexican War hero, U.S. senator from Mississippi, U.S. secretary of war and presidentof the Confederate States of America for the duration of the American Civil War (1861-1865). ... In February 1861 he was elected president of the Confederacy. I write this because whites have known for years that Black face was a life all it's own to them. They mocked African Americans. Daily knowing they were wearing Black Face almost daily. A constant reminder of mockery. Yet this still exist. In a very prevalent way. This what you need to know.
" If you know something is wrong or bad. And say nothing. Or do nothing." "You are a Bad Person." If you are someone in power or government, have money and influence in and over society and know something is wrong or bad. "You are a Very Bad Person." Bound from hand to feet he looses his mind. A man with-out words will lose his spirit. A man with-out giving, has no chance of return. yeah but did they ever dare pull that crap , when the Black community was like this ?? Excellent revelation HODEE. This reminds me of the NFL copied glare reducing eye-black application which eventually became an issue when a number of college and high school football fans emulating the players with the traditional slash but then they started slathering eye-black all over their whole faces which reeked of black face. White people are specialist at ruining racial cohesion in the name of: Fill in the blank__________. 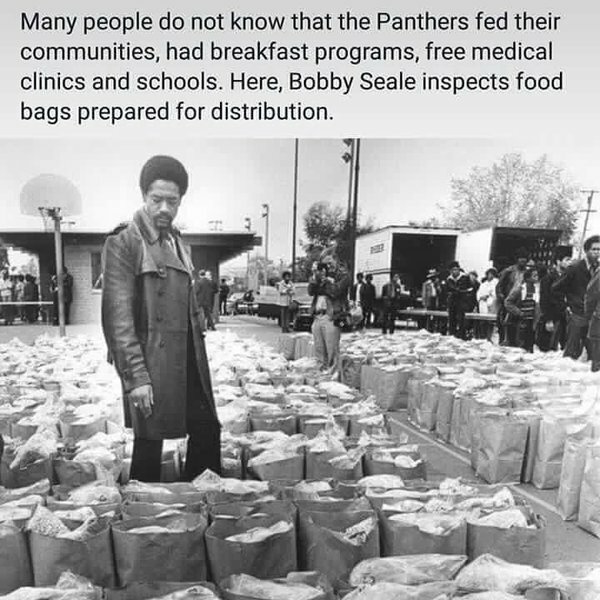 https://www.sfbayview.com/wp-conten...inspects-food-bags-for-the-hungry-graphic.jpg yeah but did they ever dare pull that crap , when the Black community was like this ?? What happened to the pictures? I just see two red X's. since I was blocked from posting pics, I am sure as a brother who grew up during the 60s and 70s and 80s, know exactly what I am refering to! "Suicide is not fashion. It is not glamorous nor edgy," said a model who slammed the design. Gov. Phil Murphy called it "despicable and completely and utterly unacceptable." Black People : What Exactly is Blackface?